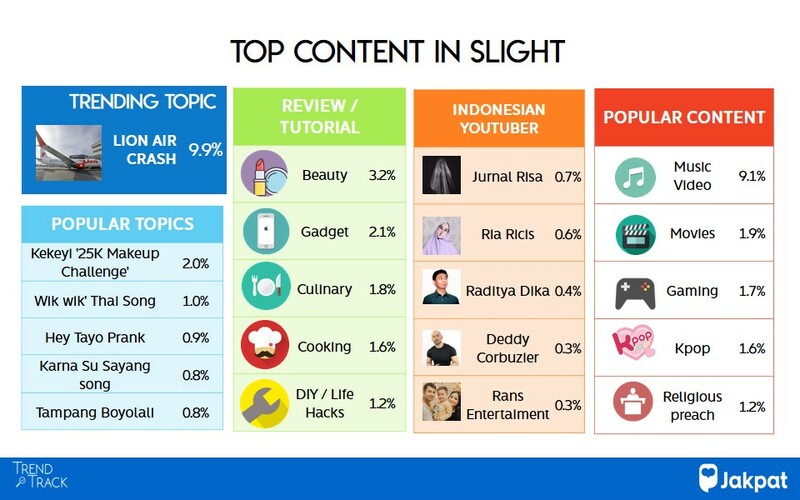 The accident of Lion Air JT610 attracted around 40% of respondents on various platforms. 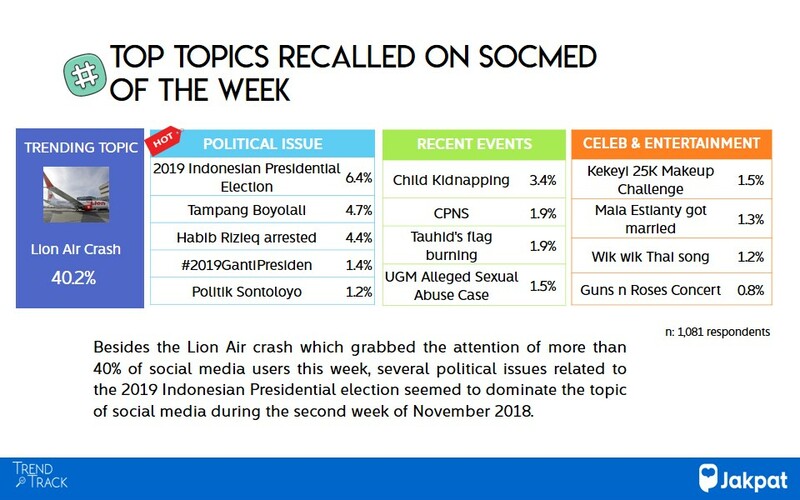 In addition, issues surrounding the 2019 Indonesian presidential election still dominate social media during the second week of November 2018. This entry was posted in Download Reports, Lifestyle, Mobile on November 30, 2018 by JakPat.